Following on from part I of the best couples New Year wellness retreats, we now bring you another dose of inspiration in part II. A couple’s wellness retreat doesn’t have to be a million miles from home; in fact the Spa Lodges at Gilpin Hotel & Lake House in the Lakes are targeted specifically at couples. Each lodge offers a private treatment area, steam room and sauna, as well as a hot tub surrounded by a private walled garden. All five of the detached, cedar-clad Spa Lodges are located in their own landscaped garden next to the main hotel near Windermere. Aromatic blends, mood lighting and a state-of-the-art music system are just some of the finishing touches which will create the ultimate in pampering indulgence. Guests can also enjoy distinctive delicacies created by Gilpin’s Executive Chef Hrishikesh Desai, who won BBC 2’s ‘Alex Polizzi: Chefs on Trial’. The experience will be complemented with dinner in the hotel’s Michelin-starred restaurant. With stunning views over the majestic Jade Dragon Snow Mountain in the highlands of Yunnan province, Banyan Tree Lijiang is a majestic low-rise luxury hotel constructed with local materials and Naxi-inspired architecture. Banyan Tree Lijiang welcomes romantic couples into an ethereal land of cobblestones and quaint bridges over flowing canals with a range of accommodation options from oriental garden suites to sumptuous plunge pool villas and spacious two-bedroom mountain view duplexes. Banyan Tree Lijiang has recently launched a new villa category: the spa sanctuary villa. 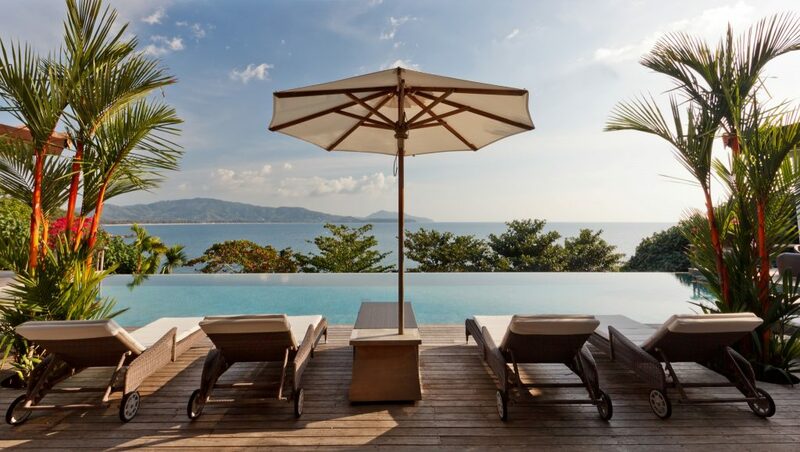 This new spa-centric villa provides guests with unlimited spa treatments for two either in the privacy of their villa or at the award-winning Banyan Tree Spa during their stay. Ideal as a New Year getaway, guests can pamper all five senses from the moment they step into their airport transfer with a refreshing floral face mist followed by a soothing foot bath ritual and a discussion with a professional therapist who will provide advice on the most suitable spa treatments. Couples can indulge in locally inspired spa treatments that are unique to Banyan Tree Lijiang such as the rejuvenating Yunnan bounty which begins with a traditional pearl barley scrub to exfoliate the skin followed by a nourishing red rice and ginseng conditioner and a soothing green tea tonic mist or the blissfully warming Gui Shi Hot Stones massage where heated river stones are soothingly massaged over the body with sesame oil, exerting warmth and pressure on the key energy points specified in the ‘Gui Shi’ Tibetan medical text. 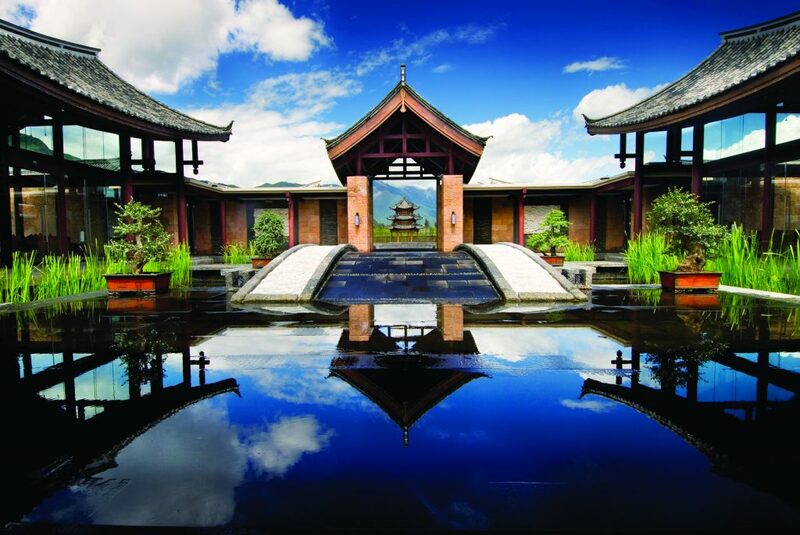 For more information please visit www.banyantree.com/en/cn-china-lijiang or call +86 888 533 1111. 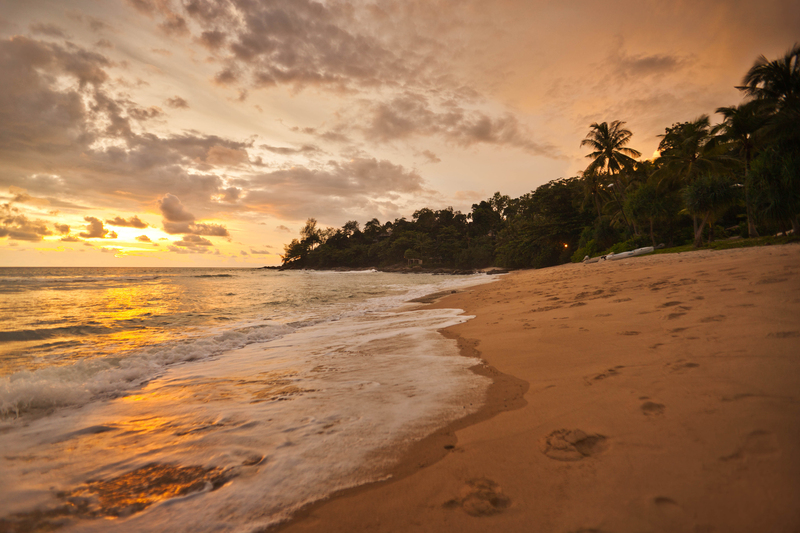 Located on Cape Panwa with stunning views of the ocean and surrounding islands, Sri panwa is the perfect setting for a mind and body retreat. The hotel’s spa offers expert guidance, intuitive healing and opportunities for achieving a healthy lifestyle with a selection of activities including Yoga, Pilates and Stretching, all taught by expert instructors. The practice is ideal for those seeking to rebalance body, mind and spirit. 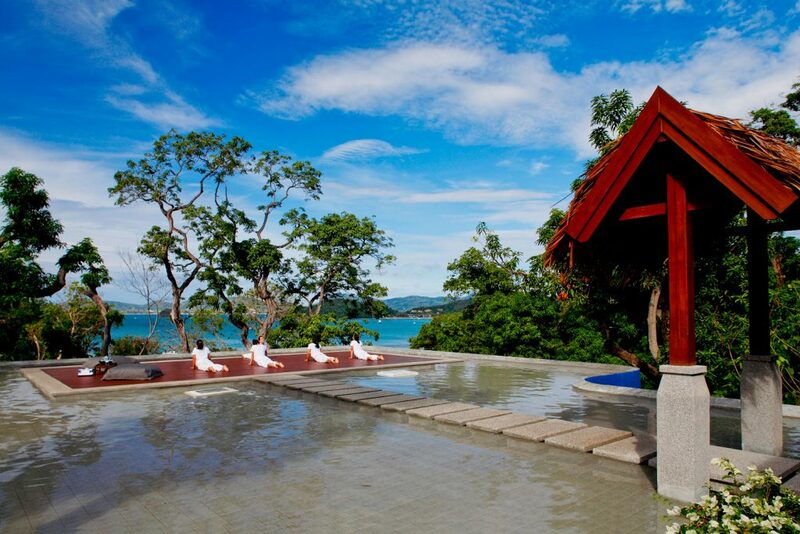 Sessions are privately taught on the floating yoga deck overlooking the Andaman Ocean. A New Year means a new start and with this in mind Suiran, a Luxury Collection Hotel Kyoto, has launched a special ‘Moon Stone’ package, using the lunar cycle, a blend of fragrant oil treatments, yoga, open air baths and meditation at the traditional ryokan style hotel, located in the peaceful surroundings of Kyoto’s Tenryuji Temple. The blend of oils used for the unique full body treatment is rotated with the lunar cycle. As the full moon turns to a new moon, an energising blend of geranium, orange, rosemary and ginger is used, followed by a detox blend of grapefruit, cypress and lemon grass which is used in the time between the full moon and the new moon. Finally, a meditative blend of geranium, sandalwood and frankincense is used to mark each new moon and full moon. 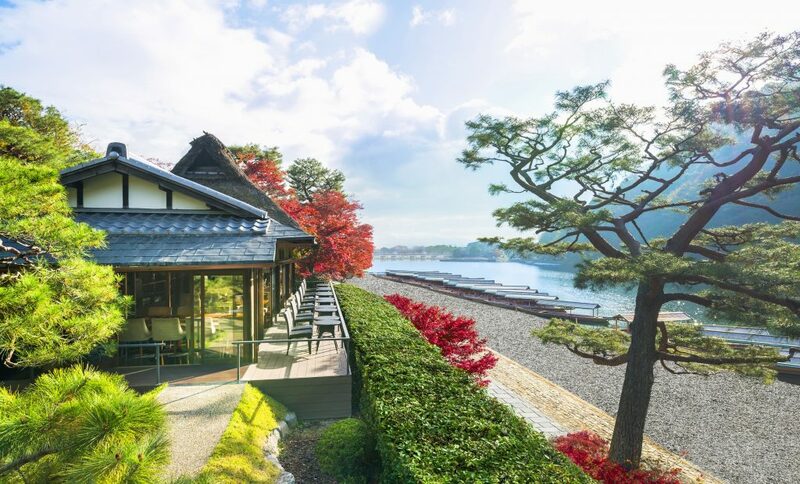 To complete the experience, couples can immerse themselves in the rejuvenating power of local Arashiyama water in the room’s private open-air bath, while absorbing the stunning scenery and refreshing mountain breeze. The soothing, locally-sourced spa water is mineral rich and renowned for its healing properties; helping to cure fatigue and ease tired muscles, while cleansing and beautifying the skin. This January, boutique luxury hotel and English country destination, Thyme, launches the ultimate post-Christmas detox retreat with celebrity nutritionist Rosemary Ferguson. Alongside Thyme’s culinary experts, Rosemary will be creating a series of bespoke menus exclusively for the luxury retreat, using produce from Thyme’s Kitchen Garden and Farm. 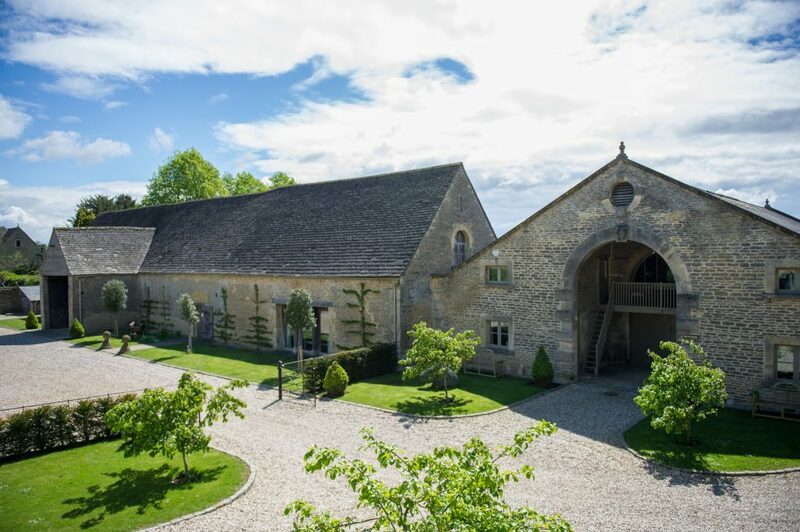 Each day will include tasting Rosemary’s healthy and hearty offerings, juice demonstrations, tailored cooking classes in Thyme’s award-winning Cookery School and one-to-one consultations on nutrition and diet as well as yoga lessons led by local instructor Bex McAlpine. Amid the water meadows and luscious landscape of Thyme, the retreat will also comprise of tours to the Kitchen Garden and Farm, providing couples with an understanding of how “growing your own” not only provides wholesome and well-balanced food, but also ensures sustainability. The Rosemary & Thyme Retreat will be taking place from 23rd – 25th January 2017 with limited availability, starting from £1750 including vat per person based on double occupancy or £1950 including VAT for single occupancy and includes a signed copy of Rosemary’s book ‘Juice’. Wellness can be as much about feeding the soul as rejuvenating the mind and body. So here at H&L we couldn’t compile a couple’s wellness list without including an active trip, more specifically the Topdeck Travel new 7 day Balinese adventure for travelers who like to stay active on the road for April 2017. This 7 Day adventure will see couples venture from Canggu, Indonesia to Ubud to Seminyak and will give young couples the chance to explore paradise with surf lessons, yoga classes and mountain bike tours, whilst meeting likeminded individuals who share their passion for keeping active. Exploring the surf on the idyllic white beaches of Canggu or finding their Zen in Ubud, the trip will showcase Bali’s stunning landscape, stopping off in Canggu, Ubud and Seminyak. 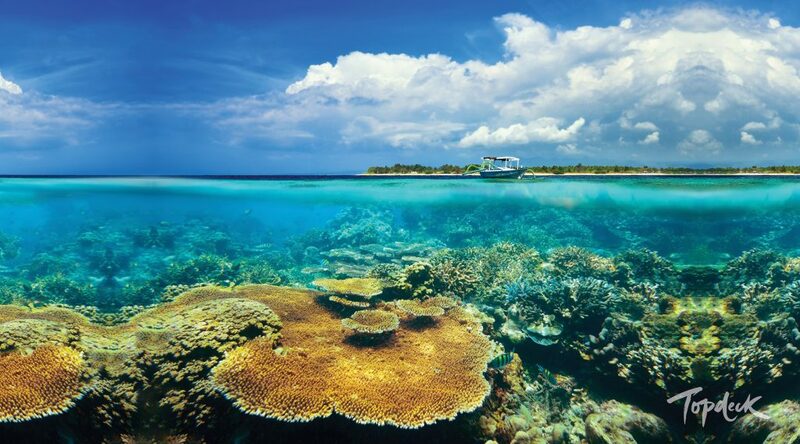 Adventurers will also have the opportunity to immerse themselves in the unique island culture with relaxing Balinese massages and a Temple water blessing at a local village. The renovated and renamed Jara Spa will take guests on a journey of balanced wellbeing. The holistic 5 pillar philosophy is inspired by the century old Ficus tree that envelops the spa, and they believe that by nourishing the roots and engaging with the earth, this is ultimately providing strength to the core and inner self. Tailor-made ‘Discovery Journeys’ allow guests to achieve total wellbeing bespoke to the individual or couple. The “Jara Local Discovery” teaches guests traditional Thai massage, which is followed by a Samunpai scrub & wrap with local Thai herbs, a Thai thermal massage, Thai stretching and walking meditation historically practiced by Buddhist monks. Shangri-La’s Villingili Resort & Spa has partnered with Yogasphere, a collective of top UK yoga teachers, to create an exclusive Maldives Yoga Journey that combines elements of yoga, life coaching and meditation in a paradisiacal setting. Located in the Maldives southernmost atoll, the three-kilometre long island has very unique settings with 12 hectares of lush foliage, towering banyan trees, coconut palms, tropical plants, three natural lagoons and pristine beaches for guests to explore and get lost in. With an ongoing schedule of visiting Yogasphere practitioners, couples are able to embark upon a personal yoga journey, bespoke to their ability level and requirements with the resort’s resident Yogosphere Master as their guide. Open to novices and practiced yogis alike, the journey includes mindful yoga flow sessions to release tension and meditation sessions to quiet the mind and reach a deeper level of awareness and inner calm. The sessions take place in the resort’s tranquil yoga pavilion offering views of the aquamarine Indian Ocean and lush island vegetation. If they wish, guests can further enhance the wellness experience by choosing from the array of fresh and healthy dishes available at the resort which are prepared using organic herbs and fresh vegetables grown in the Chef’s Garden on the island, or from the neighbouring islands. The Maldives Yoga Journey also includes two indulgent 90 minute Thai massages at CHI, The Spa, complementing the body-mind experience and helping to achieve holistic wellness. Offer valid until 8 January 2018. For more information please visit www.shangri-la.com/male/villingiliresort/offers/section/rooms-suites/details/rooms-suites/maldives-yoga-journey. If a wellness retreat seems rather radical to you and your partner, or perhaps you just don’t have the time, then we have found an alternative to kick-start a healthier lifestyle together. 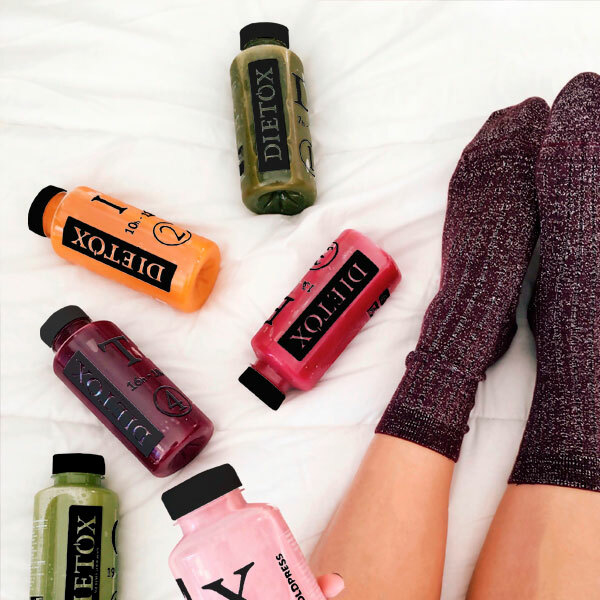 Dietox organic cold pressed juices aim to reset the body by helping customers to create the change of mindset needed at the start of a healthy diet, or simply when they want to feel at their best at an upcoming event. The selection of fresh, juice-based therapies range from a 1-day Express Plan to a full 10-day instense programme that includes 3 days of juicing and a diet plan from the in-house nutritionist, to help cleanse and purify the body. Each day’s refrigerated pack contains 6 cold-pressed juices, created from seasonal fruit, vegetables, super-foods and seaweeds, such as; Pumpkin, Spinach, Cashew nuts, Acai, Pineapple, Guarana, Matcha green tea, Beetroot, Guarana, Reishi. Pea protein, Brown rice protein, Rosehip, Banana, Chlorella, Spirulina, Strawberry, Celery, Carrots, Avocado, Kiwi, Lime, Lemon, Cucumber, Ginger and Agave syrup. All blends are specifically tailored for different nutritional requirements throughout the day and are cold-pressed and packed with the latest HPP (High Pressure Process) technology, before being delivered in an isothermal box, packed in dry ice. Here at Hero & Leander we took part in the 1-day Express Plan to see how it worked. Taking part in this cleanse together as a couple, although may sound like a challenge, ends up making it a whole lot easier to stick to the plan- and believe it or not, it can actually be quite fun! The noticeable difference and lack of bloating was something we had not expected and we can assure you that both yours and your partner’s skin will thank you for it.